Yes, their prices aren't always purse-friendly but if you have a good old rummage there are some really great buys. Last year I didn't get my hands on a golden monogram mug, so this year I was in there straight away! At only eight quid, they are a relatively guilt-free buy and would make a great gift this Christmas. 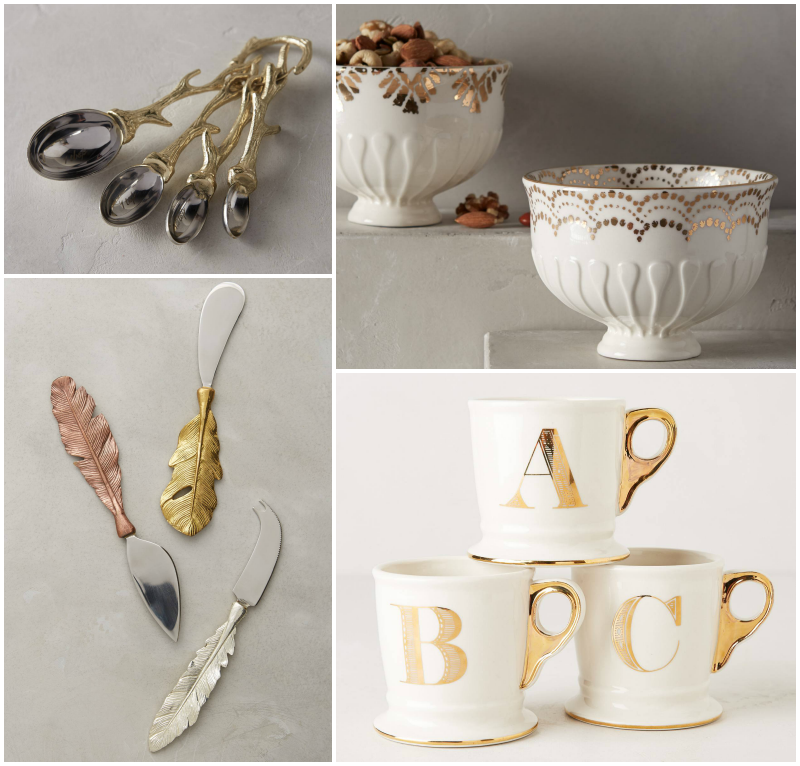 In fact, I think Anthropologie is perfect for gift-buying. A lot of the gorgeous items they sell are just that - gorgeous - but not something many of us can justify spending money on. I mean, who doesn't want bronzed, golden and silver cheese knives?! I certainly do, but wouldn't be able to justify buying them myself.